Somehow I managed to lose the leetle bitty o-ring that seals the hydraulic connection between the clutch hard line and the bleeder tee. I'm doing the Google thing looking for either a part number or dimensions. Anybody out there have a source for me? Edit: I bought 2 of these, dunno if it will fit. Last edited by NobleM400; 03-24-2018 at 03:53 PM. The forum software is fighting my efforts to edit the post above. Screw that, here's a new post. I installed the part I imported from England. It seems to fit perfectly. Next step is to find out if it seals. Well, no joy. Bleeding was uneventful, and the pedal felt good on the first three slow pumps. But on the forth I heard the dreaded spit of escaping brake fluid. I had a rag around the joint so the mess was small, but the seal mentioned above is a no go. Man, I miss the old days when this place was reasonably active. Maybe if the redirects stopped people would come back? They do get annoying. Man, I'm really talking to myself here. 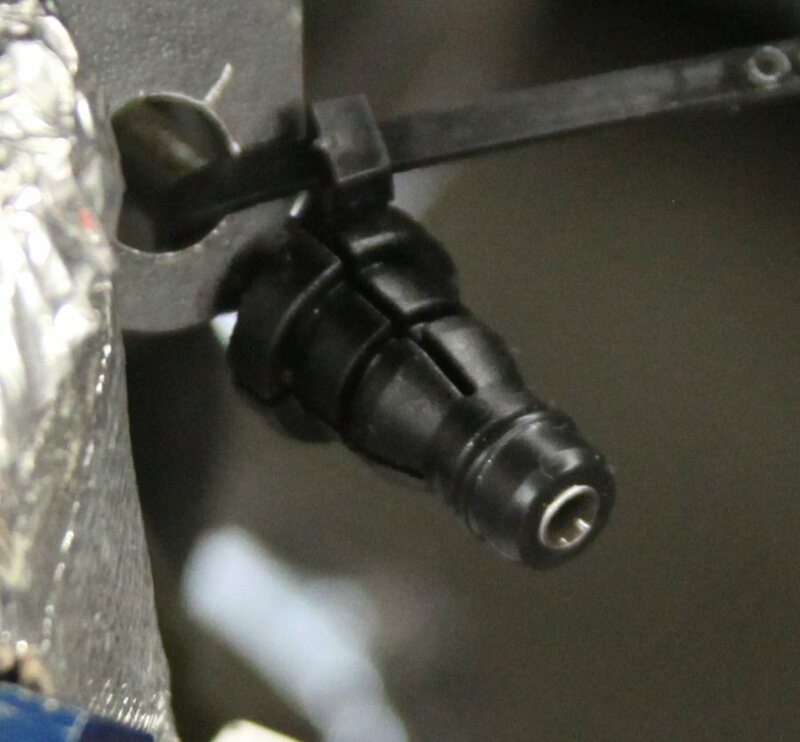 To wrap up this topic, I think the quick connect fitting also needs an o-ring. My go-to shop owner, Craig Hill, came up with a o-ring that fits quite snugly. Last edited by NobleM400; 04-15-2018 at 01:15 PM. Reason: Correct my mistake! Thanks for the link! The quick connect does look the same. Since it's from a recent model, Ford should have a diagram. I want to close the loop on this topic for future searchers. I'm pretty sure the seal I imported from England is correct, but I was not installing it correctly. 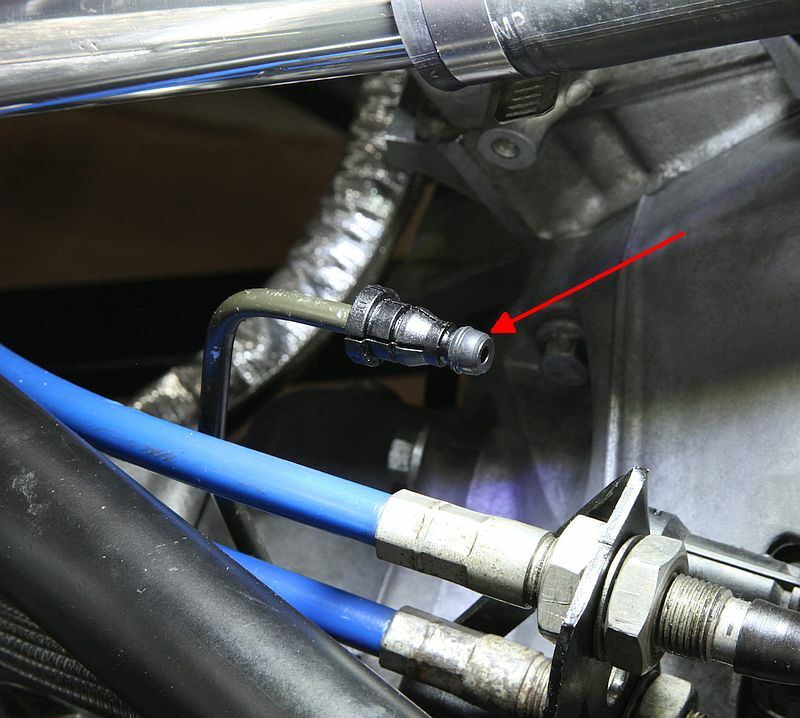 Post #12 shows the seal and an o-ring - this is wrong! The solution is to push the seal onto the quick connect until it locks into what I thought was an o-ring groove. 1) I chatted with Southwest Lotus Centre about getting a replacement clutch hydraulic hose assembly from Noble. The assembly exists, but the arrangement of hard line and flex line is significantly different than what is in my car. It is quite far from being plug 'n' play. Also, it is more than $150 plus international shipping. 2. Ford part number DV6Z-7A512-B is also not plug 'n' play, but it has the seal I needed as well as a new bleeder tee. I was worried that I may have scratched the ID of my tee when I measured it with my caliper. A new tee is piece of mind! Most importantly, the Ford assembly showed me how the seal should be installed. The part was a bit north of $40 with shipping. Why did I use the Ford seal when I had the seal from England? Due to my improper assembly, the seal got stuck in the tee. I had to pull it out with a dental hook. I don't know if I boogered it up, but I do know that I didn't want to risk using it again. I had a backup seal from England, but I have more confidence in the Ford part.